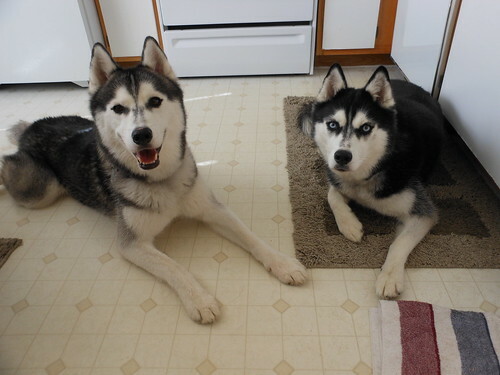 We've been staying with Dad at his apartment because Mom has been, and will continue, galavanting across the country on job interviews for a while. Mom feels bad about not seeing us every day, so last weekend, when she came to Dad's to visit us (and probably Dad and Wilbur), she brought us some delicious snacks. We love carob, so these little bites got us pretty excited. We still managed to sit for a picture before diving in. 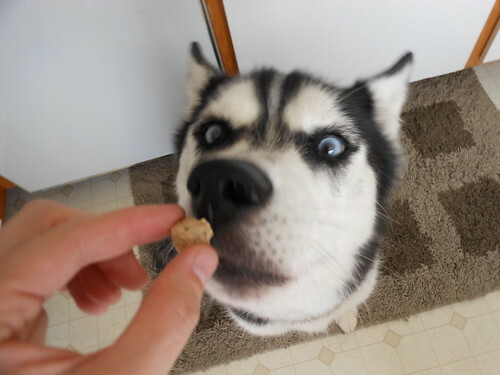 Kat got crazy eyes just staring that the treat. 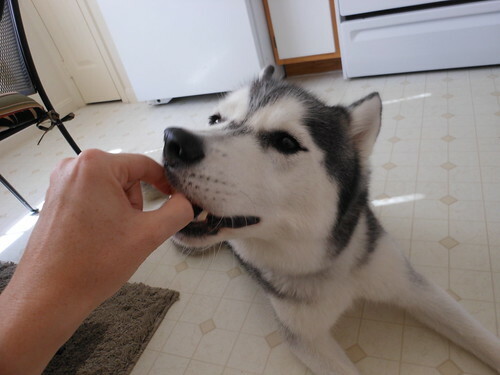 I did my best to be gentle and take a treat without biting off Mom's fingers. She appreciates that. 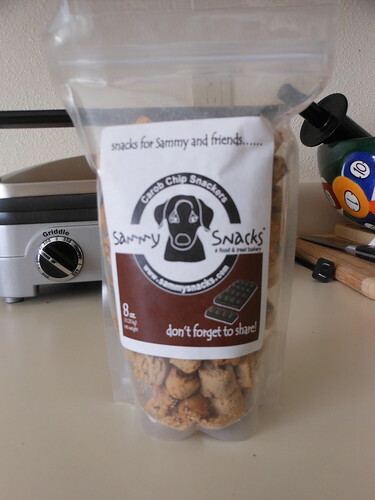 If you have a Sammy's Snack, we approve of the Carob Snacks.